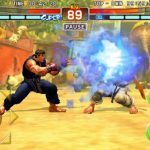 Street Fighter X Tekken Mobile is a fantastic fighting game by Capcom, which is available for iOS 5 or newer. The game pits characters from the Street Fighter universe against those from Tekken’s. 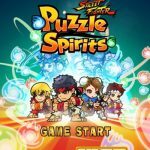 According to the developer, the game promises “quick and easy fun” and stunning 3D graphics, as well as a number of modes and the option to fight against players from all over the world through the game’s matchmaking system. 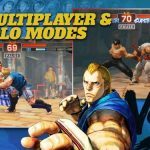 Now, regardless of which mode you prefer to play, we’ve compiled a list of useful Street Fighter X Tekken Mobile cheats, tips and tricks, that we’re going to share with you right now. These tips can help, if you’re looking for an extra edge over your opponent. Not sure which character does a certain move, or what move options your character has? You can hit on pause any time during a battle and select Command List, which will then show you a list of moves. The Training section may be more helpful, though, if you’re looking for a more up-close look at those moves and how they work. It all depends on how you prefer to fight, or if you’re a veteran Street Fighter and/or Tekken player and have your own favorites. But if you’re a stranger to either franchise, the best rule of thumb here would be to choose brawler types if you enjoy close-contact combat, or faster fighters if you prefer to out-guile (no pun intended) the enemy, or if the occasion calls for someone as quick as your opponent. You can save a replay for each fight once you’re done with it, win or lose. You can save those shining moments when you pulled off an impressive victory, but it would be better if you use this feature to study why you lost. Simply go to the My Data section on the main menu, pick Replay Data, and go to the proverbial videotape. First of all, what are Pandora’s Boxes? These are special power-ups that could help you in battle, especially if you’re having a tough go against your opponent. Make sure to upgrade these boxes by going to the Shop, picking individual boxes, then selecting the Upgrade option. This is probably the tip many of you have been waiting for, because let’s face it – it’s fun to fight against a real-life player in real time. 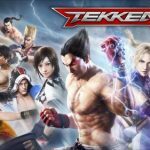 For starters, you need to use Street Fighter X Tekken Mobile’s Credits currency if you want to be a part of these ranked online matches. You keep your Credits if you win a fight, but if you don’t, they’re gone. You can also ask for a rematch – send your opponent a message via the game’s chat feature, and you can wait and see if this player will be willing to grant you one.